Hundreds gather in Little Tokyo to remember activist Yuri Kochiyama. Civil rights activist Yuri Kochiyama touched so many lives in so many communities that one public memorial was not enough. A Northern California memorial was held Aug. 3 in Oakland, where Kochiyama lived since 1999. 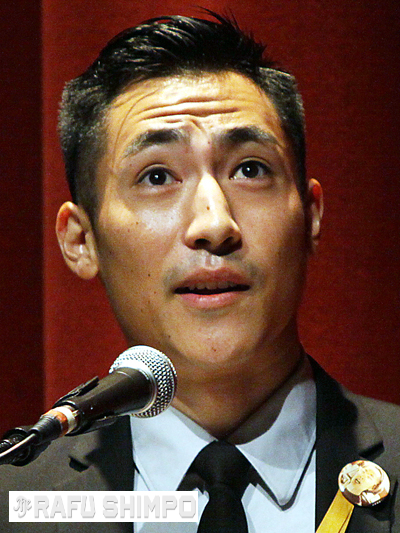 The Southern California memorial took place Aug. 31 at the Aratani Theatre in Little Tokyo. And the third memorial is set for Sept. 27 in New York City, where Kochiyama was politically active for five decades. 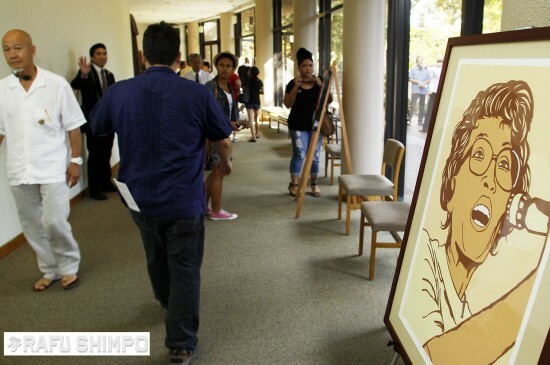 The Aratani was filled with relatives, friends and admirers who came to pay tribute to the civil rights icon, who died on June 1 at age 93. Former Assemblymember Warren Furutani served as emcee. He noted that his father knew Kochiyama, then known as Mary Nakahara, because both grew up in San Pedro, and his mother and Kochiyama were part of a women’s group at the Jerome, Ark. internment camp that acted as a USO for Nisei soldiers visiting their families. Furutani paid tribute to family members who preceded Kochiyama in death, including husband Bill, son Billy and daughter Aichi. Speakers included two of Kochiyama’s four surviving children and three of her nine grandchildren. “When it was time to go, she would hold each of our faces in both hands and stare into us with that smile and eyes filled with such love, more than enough to last until the next time we saw each other. Aiko Herzig-Yoshinaga, an activist and researcher known for her involvement in the redress movement, said she first met Yuri Kochiyama after being released from camp and moving to New York. “She was at that time a Sunday school teacher in Manhattan at the Japanese American United Methodist Church. 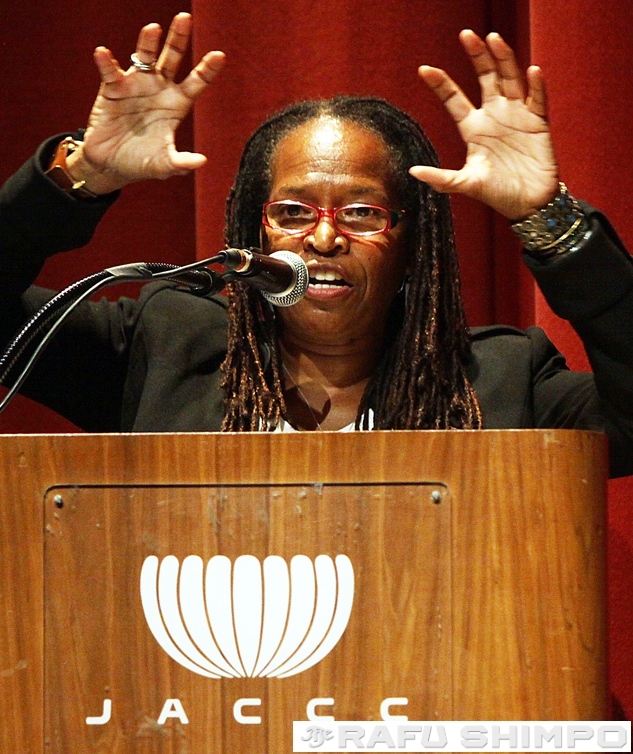 She eventually became immersed in civil and human rights movements … in the various ethnic communities. Her contributions to these causes would be impossible to quantify, but her influence is unquestioned. “Yuri enlivened our discussions with her dedication to the causes she had adopted. She exhibited an outstanding example of how not to give in to suppression but instead how to go about being resolute and putting our convictions into action … She refused to be intimidated, nor was she cowed by the authorities even with the knowledge that the law enforcement people were watching her, and unperturbed she continued her activities. Among other talents, Kochiyama was known for her calligraphy, Angola said. “Yuri would make flyers for all types of rallies and protests … Her handwriting was so unmistakable that many organizations would seek her out to make flyers for them because it was so beautiful.” In the kitchen, Kochiyama “would whip up vegetable stir-fry in a jiffy” during meetings. Nobuko Miyamoto of Great Leap performed “A Single Stone” with vocalists Nancy Sekizawa and Carla Vega, Derek Nakamoto on piano and Charles Kim on bass. 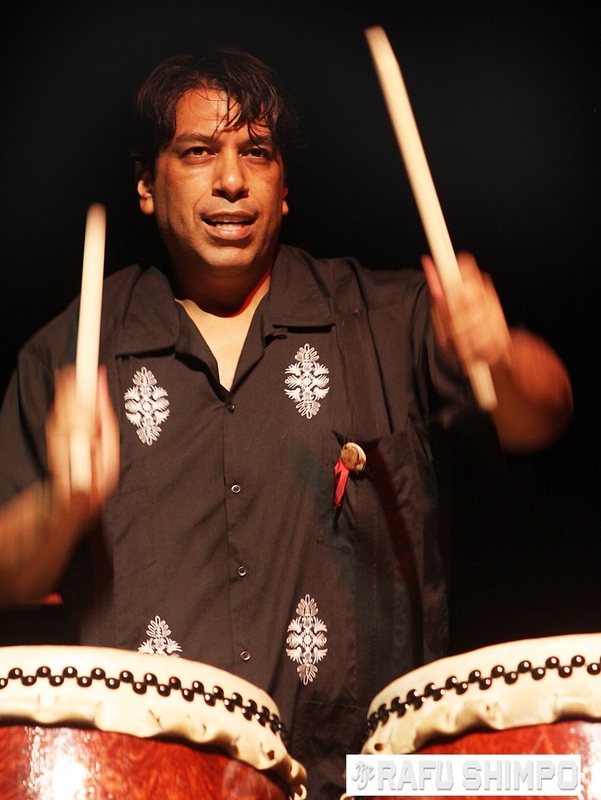 The program also included a performance by Maceo Hernandez and East L.A. Taiko; “Life Doesn’t Frighten Me,” a Maya Angelou poem set to music by Scott Nagatani, with Nagatani on piano, Taiji Miyagawa on bass, and vocals by Keiko Kawashima and Leslie Jones; June Kuramoto of the band Hiroshima playing excerpts from “Maboroshi wo Oite” and “When Winter Cries” on koto; a video tribute by filmmaker Tadashi Nakamura; and clips from the documentaries “Yuri Kochiyama: Passion for Justice,” directed by Rea Tajiri and Pat Saunders, “Mountains That Take Wing: Angela Davis and Yuri Kochiyama” by C.A. Griffith and H.L.T. Quan, and “My America … or Honk If You Love Buddha” by Renee Tajima-Pena. Afterwards, Kochiyama’s family gathered in JACCC Plaza to reminisce with old friends.